Burial practices have been a part of civilization for thousands of years and are one of the things that define a culture. When a loved one dies, it's custom to take steps to memorialize the person to help cope with the loss. One practice that has been around since the early beginnings of civilization is using a grave marker. Here are facts about the history of grave markers. Marking graves began with early, ancient human civilizations. In prehistoric times, ancient people built mounds of earth, called barrows, for the dead. Some primitive people would build large megalith monuments for their dead loved ones. In Ancient Egypt, statues and pyramids were built to help the dead journey to the afterlife. Romans and Greeks in ancient times also dedicated beautiful monuments to the dead. As time went by, the practice of large memorials faded away in favor of smaller, more personalized memorials, or grave markers. Rituals were now centered primarily through the church, and the dead were buried in church graveyards. In colonial and Victorian times, tombstones were used to mark individual graves. Families and friends had the loved one's name, date of birth and death, and a verse chiseled into the stone marker. 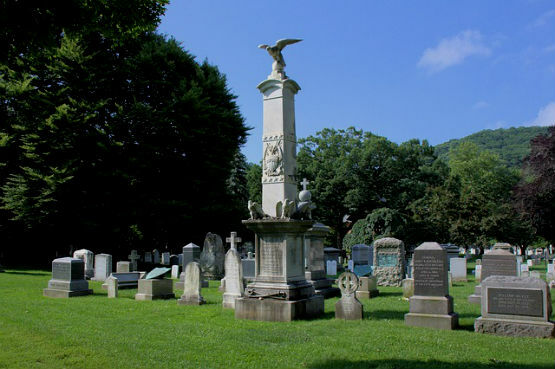 During the 19th and 20th century, cemetery monuments at times became more elaborate, depending on the family's budget. Graveyards developed into park-like, peaceful settings. Some tombstones remained simple and got smaller to help make room in crowded cemeteries. Materials for grave markers evolved into sturdy marble or granite. Some more modern grave markers started using color photographs of the loved one to help humanize the dead. Losing someone close to you is one of the hardest things to go through in life. Grave markers have helped the friends and families of the dead come to terms with a loss. They help mark someone's life and death and create a place for the living to visit and remember their lost loved one. While grave markers have changed throughout history, their purpose remains constant.